Fobos keyboard is a membrane type device for experienced games who like to play modern games on top requirements. The keyboard has 5 keys for assigning macros and 8 well-designed multimedia keys. 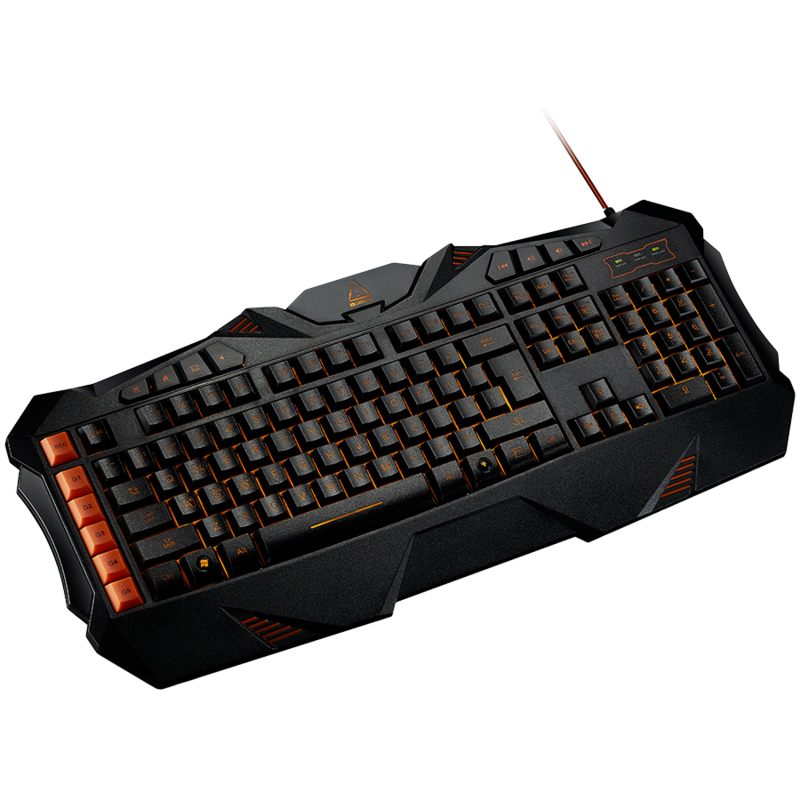 The keys are highlighted by flame-coloured LED backlighting, giving you the right mood for late night gaming sessions. Its ergonomic design and aggressive spiky shape will be a good addition to your non-standard gaming setup. An On-board memory module allows to save your settings and backup your entire gaming profile right on the device.